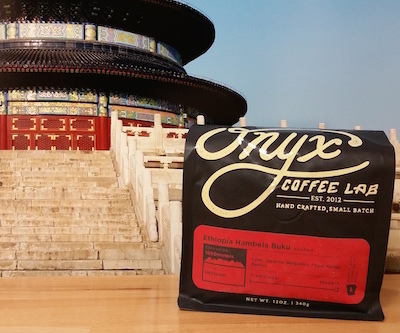 A distinctly aromatic coffee, with vanilla, matcha, caramel, sweet grains, and black tea. The body was light to medium in weight, with a delicate tea-like texture creating smoothness in the cup. There was a understated tropical citrus acidity present, tasting like stone fruit and pineapple. Subtle honey sweetness balanced the already delicate cup profile, and tea leaf tannins and juniper created a unique complexity. The aftertaste was reminiscent of dry cocoa and fresh sun brewed tea as is lingered. Categories: Coffee Ratings. Origins: Ethiopia. Flavors: Citrus, Honey, Juniper, Pineapple, Stone Fruit, Tea-like, and Tropical Fruit. Brew Descriptors: Balanced, Floral, and Juicy. Roasters: Onyx Coffee Lab.